Listen up kids. In my day video games were hard, and had simple graphics none of this 'you can beat it in 3 hours first play' nonsense. You had to practice and work at it, and we liked it that way! 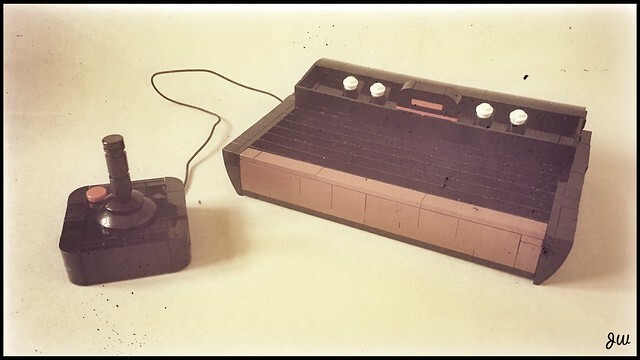 I have fond memories of playing Pitfall and Combat on my Aunt's Atari 2600 as a child. Builder Jarekwally has expertly captured the venerable classic in bricks. The addition of the distressed photo effects is a very nice touch on this picture. Oh the retro feels.